The play Corpus Christi opened Off-Broadway in a Manhattan Theatre Club production at New York City Center Stage 1 on October 13, 1998. Directed by Joe Mantello and written by Terrence McNally in 1969, the story depicts Jesus and the Apostles as gay men living in modern-day Texas. It utilizes modern devices like television with anachronisms like Roman occupation. Judas betrays Jesus because of sexual jealousy. Also during the course of the play, Jesus administers gay marriage between two apostles. 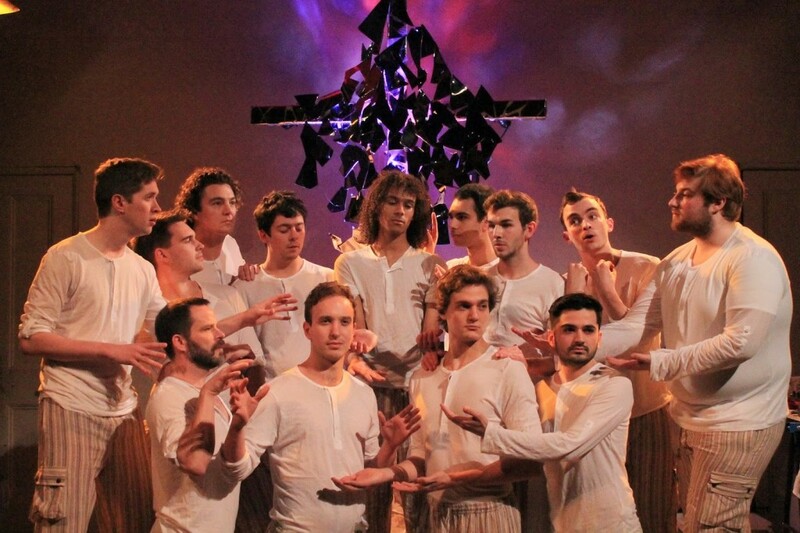 The play received critical attention for its exploration of gay themes in Christianity. It was also condemned by Catholic League, a Roman Catholic watchdog group, for what they viewed as blasphemy, sacrilege, and anti-Catholic bigotry. Jason Zinoman, reviewing for The New York Times, wrote that the premiere production was "an earnest and reverent spin on the Jesus story, with some soft-spoken, gay-friendly politics thrown in." He further noted that the play was "fragile, heartfelt" and "seems more personal than political, a coming-of-age story wrapped in religious sentiment." The New York Times also published an article linking the uproar in 1998 to the death of gay student Matthew Shepard. The play closed on November 29, 1998.